Literacy is about learning to use, create and enjoy the Literacy language in all its forms – oral, written and visual communication. 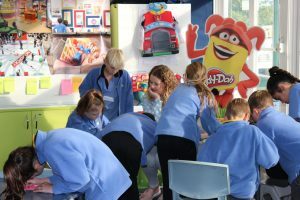 How is Literacy structured in the New Zealand Curriculum? Making Meaning | listening, reading and viewing. Creating Meaning | speaking, writing and presenting. Students need to practice making meaning and creating meaning at each level of the curriculum. How is Literacy taught at Torbay School? At Torbay School we believe competency in Literacy is crucial for our students to access and succeed in other learning areas. As a result Literacy is a priority area throughout the school. Reading and Writing is taught daily, and spelling, handwriting and oral language is covered throughout the week. Teachers will explicitly teach the necessary skills for students to work towards developing independence when making meaning and creating meaning from the Literacy language. Integration across the curriculum will provide a context for learning, when appropriate. Teachers will place an emphasis on building depth of understanding within each strand and mode (listening, reading, viewing, speaking, writing and presenting). Literacy programmes will become increasingly challenging to build on prior learning. Teachers will provide opportunities for all students to practice, consolidate and extend their understandings on a daily basis. 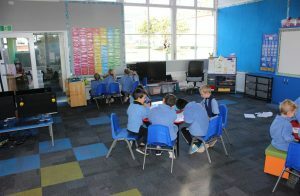 Students will be immersed in a literacy rich environment that provides motivation, quality teaching, modelling and celebrates their learning.